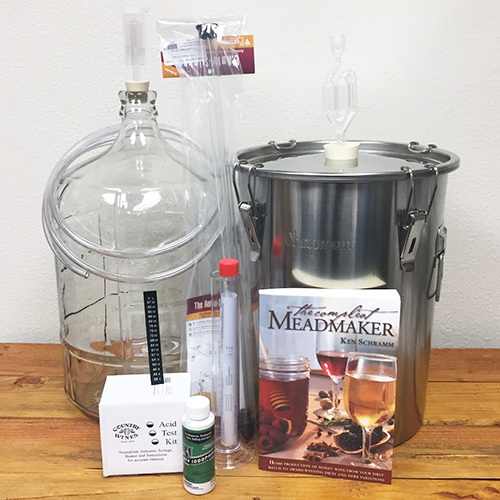 This three gallon Water Seal 3 Piece Fermentation Starter Kit from Ohio Stoneware of Zanesville, Ohio is one of their premium offerings. 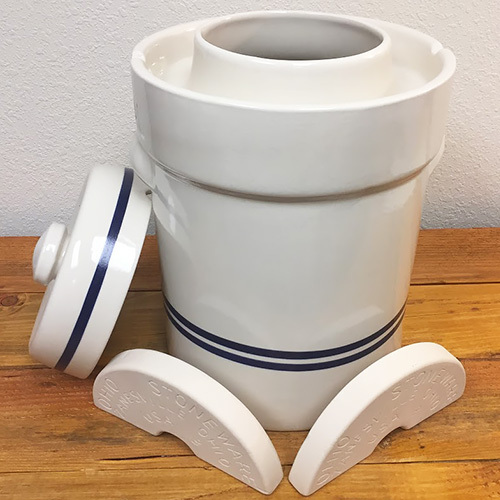 The stoneware is made to be attractive, and the design is more advanced than a traditional straight-sided crock. 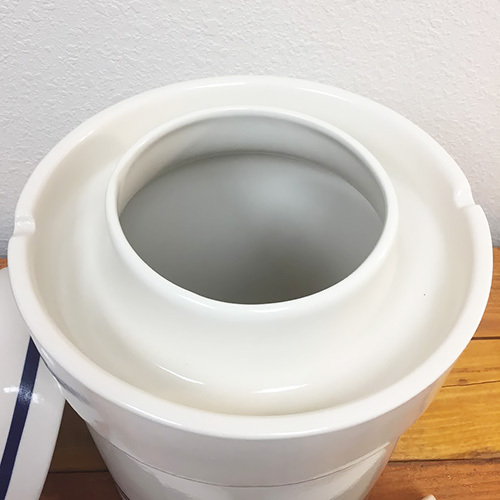 The upper portion of the crock is designed with a moat that may be filled with water during fermentation. 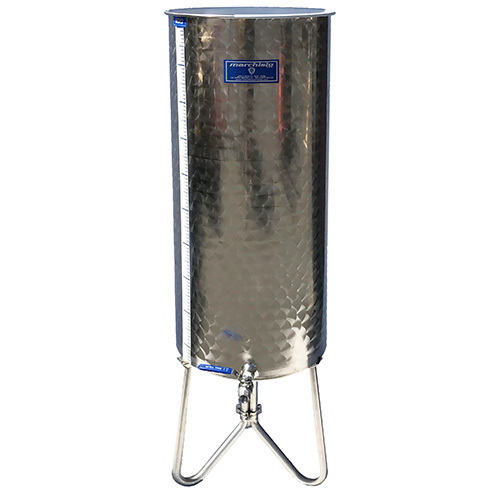 When the cover is placed into the water, the fermentation is sealed off from the environment ensuring there are no new contaminants introduced during the ferment, while CO2 producing during fermentation is still allowed to escape. 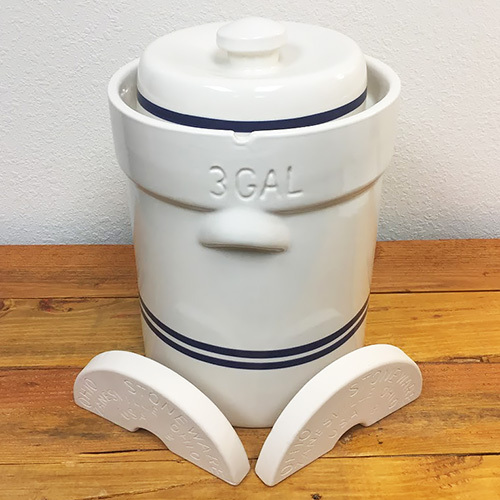 This 3 gallon crock set comes complete with weights and cover. The two semi-circular stone weights rest on top of the food inside the crock and create pressure needed for proper fermentation.